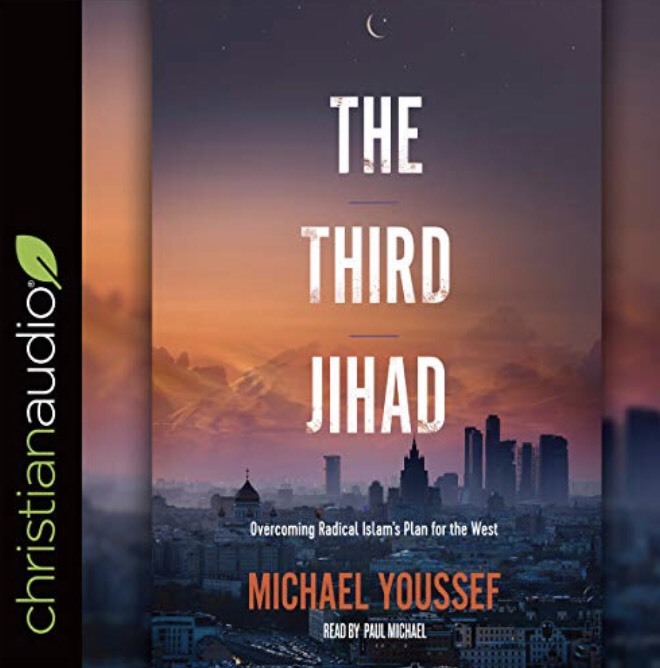 I just started listening to The Third Jihad – Overcoming Radical Islam’s Plan for the West by Michael Youssef, narrated by Paul Michael on my Audible app. Radical Islam has been waging war against our global civilization throughout history—and now, it’s closer than ever to American soil. Our guest, a Coptic Christian who was born in Egypt and now leads a megachurch in America, knows from firsthand experience that radical Islamists have goals that many American Christians believe are “unthinkable.” He joins us to warn Western Christians that it doesn’t help to ignore what’s going on. There’s a third jihad underway, and its goal is to take over the West. He will share surprising insights from history, compelling and dramatic stories, and a practical agenda that one person—or one church—can immediately put into practice to make a difference in the world. Don’t miss a minute of this conversation. This entry was posted on April 6, 2019 at 9:36 am and is filed under One Walk. You can follow any responses to this entry through the RSS 2.0 feed. You can leave a response, or trackback from your own site.